At last, our official DVD is available for sale on Amazon.com. 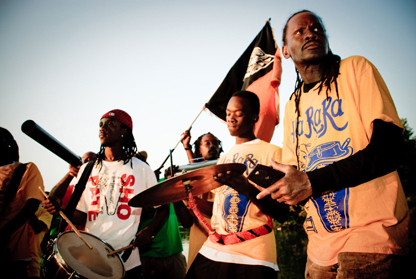 The disk features the broadcast version of the documentary, plus tons of extra scenes, ground-shaking rara performances, and a mini-doc on the band's trip to the Obama inauguration in Washington D.C.
We're happy to announce that we've partnered with Third World Newsreel for educational distribution. TWN has been distributing high-quality social justice documentaries since 1967, and we're very excited to join their roster. Institutions can find out more HERE. The band and film are back from an amazing trip to New Orleans for the Festival International De Lousiane (in Lafayette) and the New Orleans Jazz Fest. It was a whilrwind four days of screenings, parades, and cross-cultural jams. The National Geographic travel blog picked DJA-Rara as one of the highlights of the festival. See some great photos and press coverage HERE and HERE. The Other Side of the Water's broadcast premiere on Public Televison's World Channel was January 12, 2011, and it is being broadcst throughout 2011. 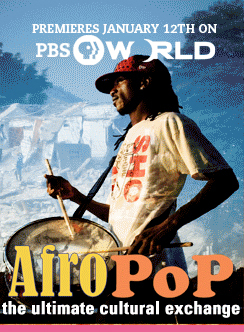 It is this opening episode of the series "Afropop: The Ultimate Cultural Exchange", and will be preceded by the short doc "Haiti: One Day, One Destiny" by Michele Stephenson. 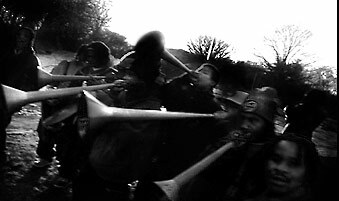 2010 Year in Review: a selection of some joyous moments from a very difficult year. I just wanted to thank you and Jeremy for bringing RaRa to Brooklyn Museum for Target Free Saturdays. I, like everyone have been overwhelmed by the amount of loss that has transpired in Port-Au-Prince this past month. My family has already experienced so much loss already and I felt myself beginning to feel bitterness towards Americans who never seemed to care about Haitians before and all of sudden grew some feelings because of the magnitude of this tragedy. I found my soul again on Saturday night because of the film you guys so courageously created. I rediscovered my love for humanity and the RaRa almost like baptism , simply washed my bitterness away. 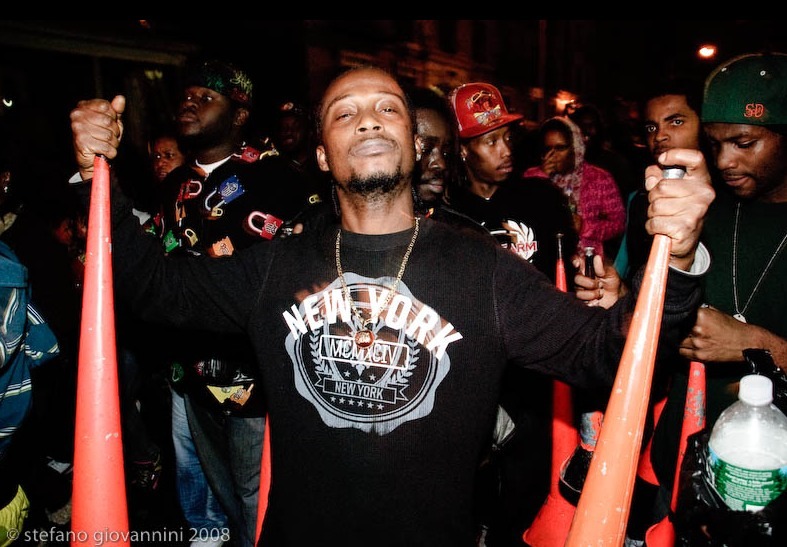 So merci beaucoup and mad props to you and Jeremy again for creating an environment where Haitian people can carry ourselves with dignity and pride once more. 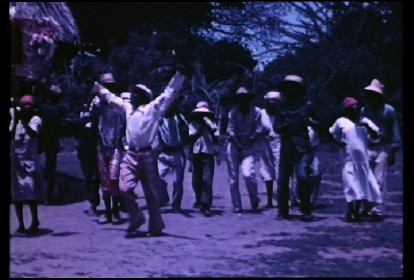 Thank you to everyone who came out this past year to support the band and the film - and more importantly to show love and support for Haitian culture. 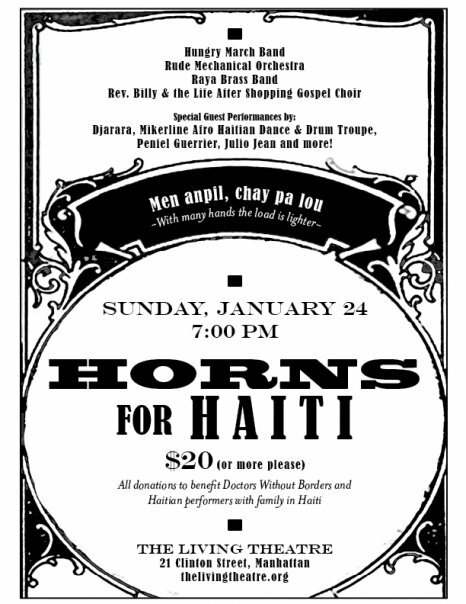 We hope that energy and focus can continue through Haiti's long rebuilding process. On Labor Day, September 7th, we returned to the Brooklyn Academy of Music. 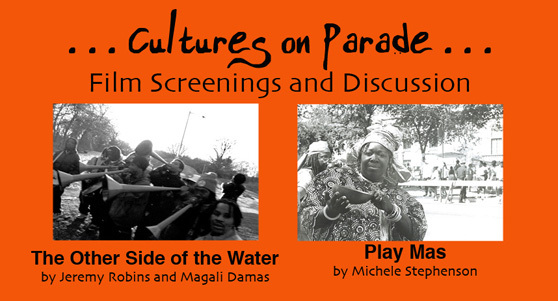 It was a wonderful day of screenings, which we attended while running back and forth to the Eastern Parkway Carnival. 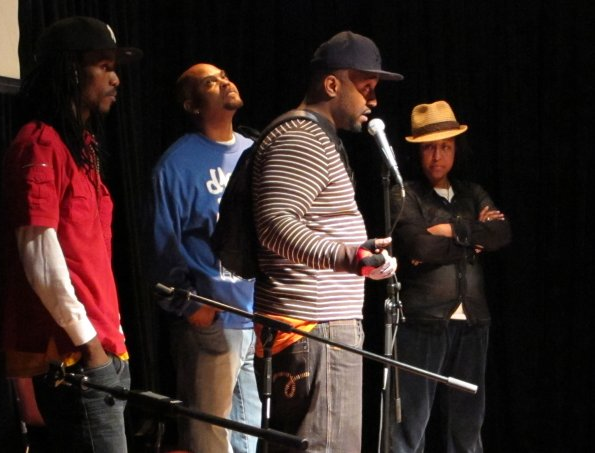 Thanks to the Creatively Speaking series and everyone who came out! 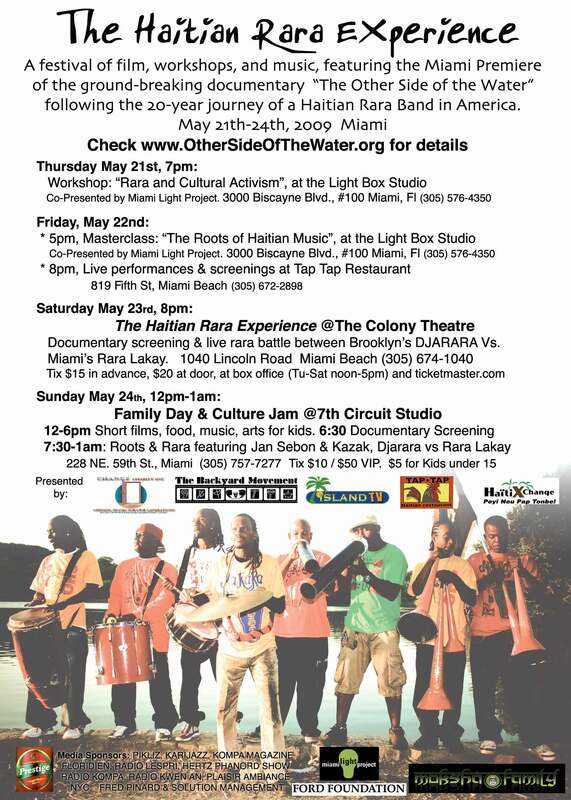 From May 21st-24th Miami hosted "The Haitian Rara Experience": a 4-day festival of film screenings, workshops, parties, and music events. 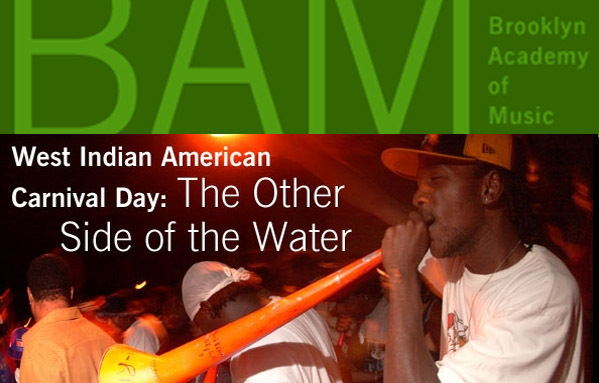 The main event was the Theatrical Premiere of "The Other Side of the Water" at the historic Colony Theatre on Miami Beach, followed by a live performance of Brooklyn's DJARARA. Thanks to our presenting partners: Miami Light Project, the Backyard Movement, Change Charity, Inc., Moksha Family, and HaitiXchange.com. Festival Premiere at Urbanworld Film Festival - September 12th, 2008. "The Other Side of the Water" was proud to be a part of the 12th Annual Urbanworld Film Festival in NYC - presented by BET and HBO. 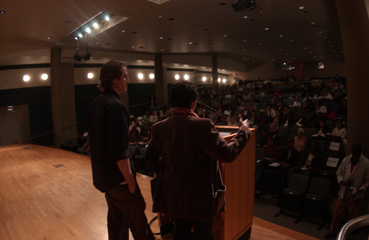 Stay tuned for information on our upcoming festivals and theatrical premiere in NYC slated for February 2009. Thanks also toHaitiXchange.com, Brooklyn Papers, heritagekompa.com, Caribbean Life newspaper, this Prospect Park Blog as well as Radio Soleil and Radio Pa Nou for the great shout-outs. 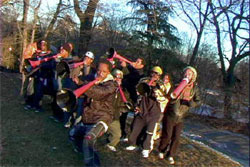 Clips from the documentary were featured in an exhibit called "A Drum Beats in Brooklyn" at the Brooklyn Historical Society. 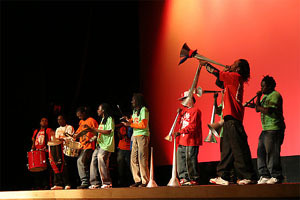 The exhibit focuses on drum-based and African-influenced cultures in Brooklyn, and runs from February 14th to May 13th, 2007. Info at the BHS website . The filmmakers have teamed up with the musicians of DJA-Rara to give a series of presentations at colleges and universities in the Northeast. 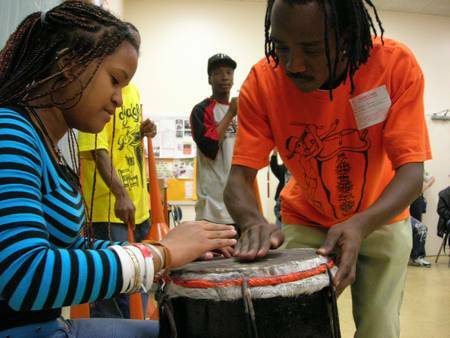 4/06 Through the Carnegie Hall Global Encounters Program The Other Side of the Water and DJA-Rara visit high school classrooms in Brooklyn, Queens, Bronx, and Manhattan. We screened clips from the documentary, talked about the history of rara, and taught students to play drums and kone horns. SEE PHOTOS HERE. 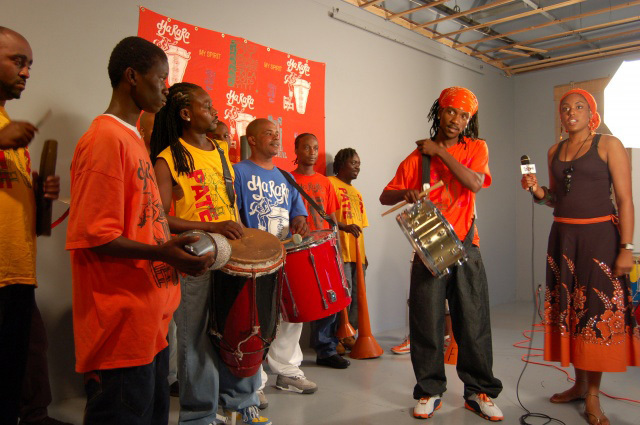 April 28th, 2006: Carnegie Hall's Neighborhood Concert Series presents a screening of 10 minutes from Other Side of the Water and a performance by DJA-Rara at CUNY's Caribbean Studies Center. SEE PHOTOS HERE. 1/06: Kurt Engfehr joins team as Consulting Editor. Kurt Engfehr was editor and co-producer of “Bowling for Columbine” and “Fahrenheit 911.” He was awarded the American Cinema Editor’s award for best documentary editing in 2002 for his work on Bowling for Columbine, and we’re excited to have him on board. 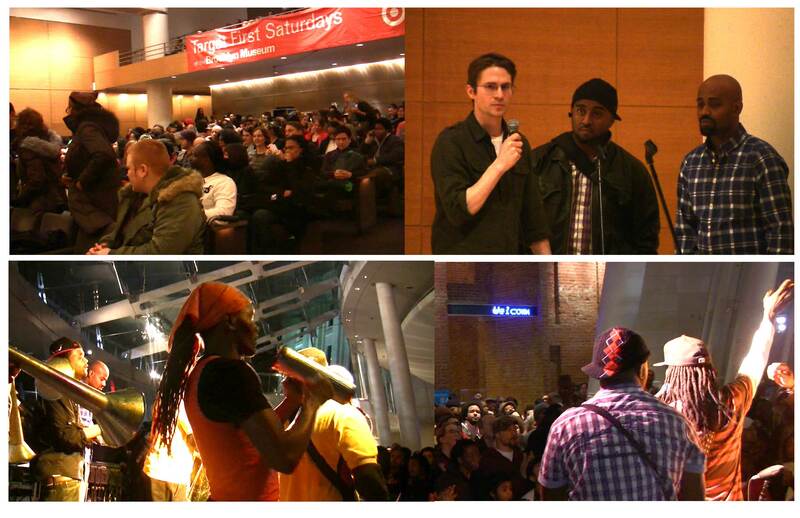 February 21st 2006: Rough-cut screening at Brooklyn Public Library's "Documenting Brooklyn" series. 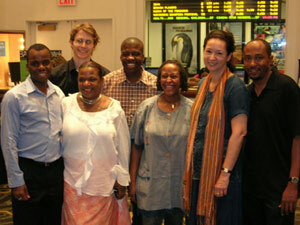 At BAM: Filmmakers with staff of the 18 Mai Committee, HaitiXChage.com, and Michele Montas - widow of slain journalist Jean Dominique from "The Agronomist"